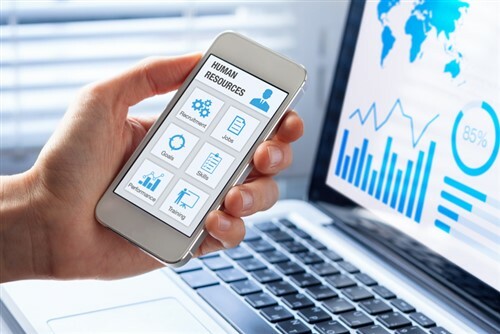 Internal communication apps and employee portals are giving deskless workers access to HR-related information even on the go. Out-of-office employees – deployed in manufacturing or construction sites, restaurants and shops, or out on the streets – might not always need a PC to finish a task. In the field, however, they face the possibility of being kept out of the loop. While Zinc offers a desktop version, it is also designed around deskless workers’ reliance on mobile devices. Providing one-on-one and team messaging options, the app allows users to switch between text, voice, video, push-to-talk, and broadcast messages. Zinc aims to connect field workers with the right information source or colleague whenever they have questions. Alerts and broadcasts can also be sent out to guide workers in high-risk situations. As a mobile learning and operational management software, PlayerLync is built for ‘teams that work on their feet’. The mobile app can host internal content both online and offline, so deskless workers can pull up materials even without round-the-clock access to the internet. PlayerLync’s clients include those in professional sports, health care, food, and retail. The app has helped businesses not only monitor day-to-day work in the field, but also support deskless learning. Described as a ‘business intranet in the palm of your employee’s hand’, Appranet iOS and Android app lets users call or email a contact simply by clicking on a name in the company address book.